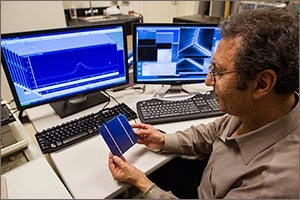 American innovators still have some cards to play when it comes to squeezing more efficiency and lower costs out of silicon, the workhorse of solar photovoltaic (PV) cells and modules worldwide. A recent breakthrough — the product of a partnership between manufacturer TetraSun and the Energy Department's National Renewable Energy Laboratory (NREL) — could spark U.S. solar manufacturing when the approach hits the assembly line next year. The innovative design, simple architecture, and elegant process flow for fabricating the cells make the technology a prime candidate for large-scale production. Solar industry leader First Solar acquired TetraSun in April 2013, about the time R&D Magazine honored TetraSun and NREL with one of its coveted R&D 100 Awards for the year's top innovations.